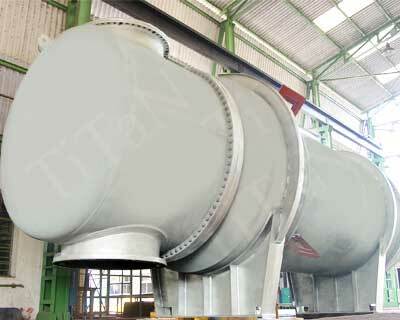 We are counted among the prime Water Cooled Condensers manufacturers and Suppliers based in India. Our Tube Type Water Cooled Condensers are designed using technically advanced parts to offer high performance and low maintenance. User-friendly structure of our High Temperature Water Cooled Condensers assures ease of operation and maintenance.